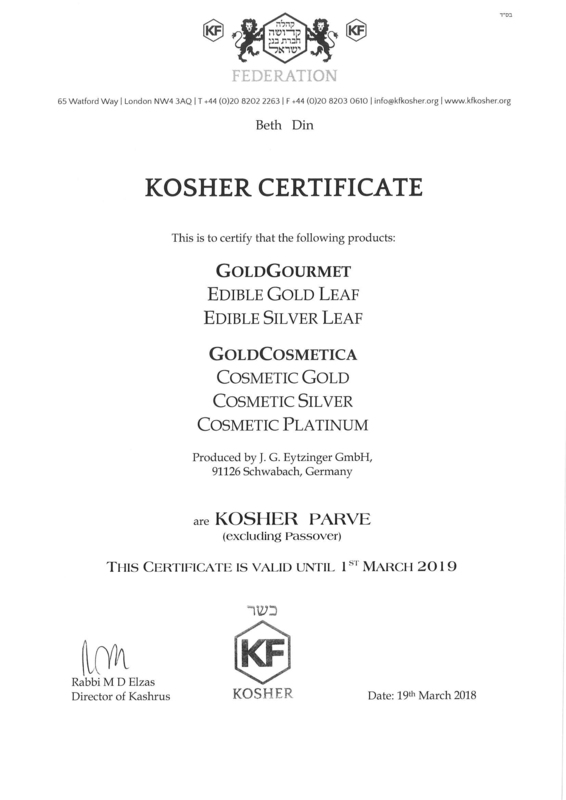 Our Edible Gold and Edible Silver leaf products are certified by the Federation of Synagogues as Kosher Parve, excluding Passover. We receive annual certification. 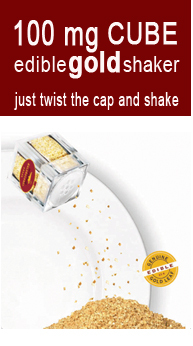 Please view our certificate below.